To Fix That Pain In Your Back, You Might Have To Change The Way You Sit : Goats and Soda In the past century, many Americans have lost the ability to sit in a way that doesn't strain their backs. Specialists say we could take a lesson from excellent sitters from other cultures. 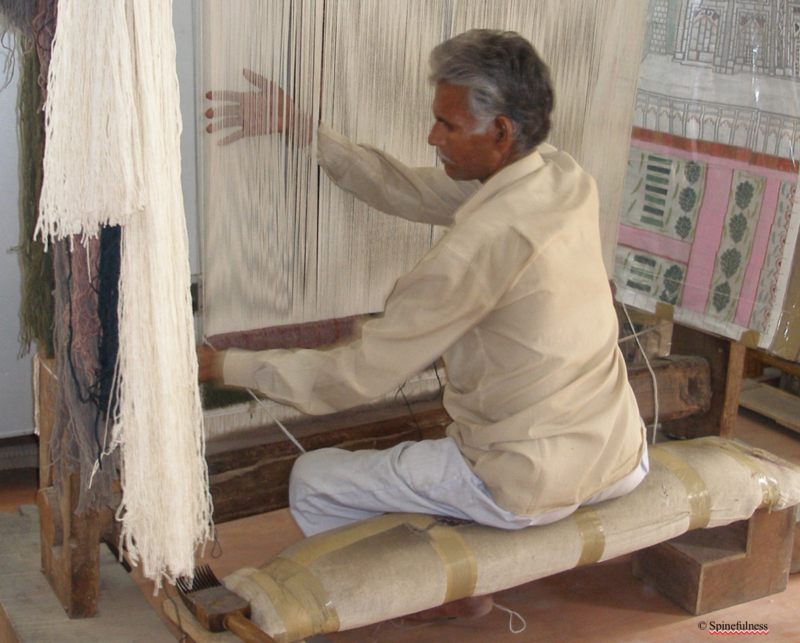 No special chair required: A man in Rajasthan, India, sits at his loom, weaving for hours each day with exemplary posture. He untucks his pelvis and elongates his spine.